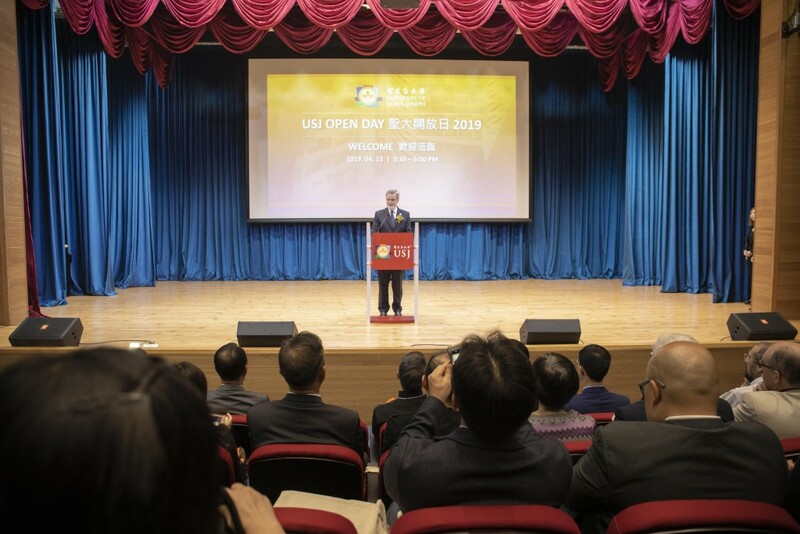 On 13 April 2019, USJ held its annual Open Day at the Ilha Verde Campus from 3:30pm to 6:00pm. The University of Saint Joseph (USJ) held its annual Open Day at the Ilha Verde Campus from 3:30pm to 6:00pm on April 13th to provide an opportunity for the general public, in particular, secondary school students and parents, to learn more about the learning environment and admissions process of the University. The Opening Ceremony was held at 2:30pm and was followed by a guided campus tour. The ceremony was officiated by the Most Reverend Bishop Stephen Lee Bun Sang, Bishop of the Diocese of Macao and Chancellor of USJ; and Prof. Fr. Peter Stilwell, Rector of USJ. 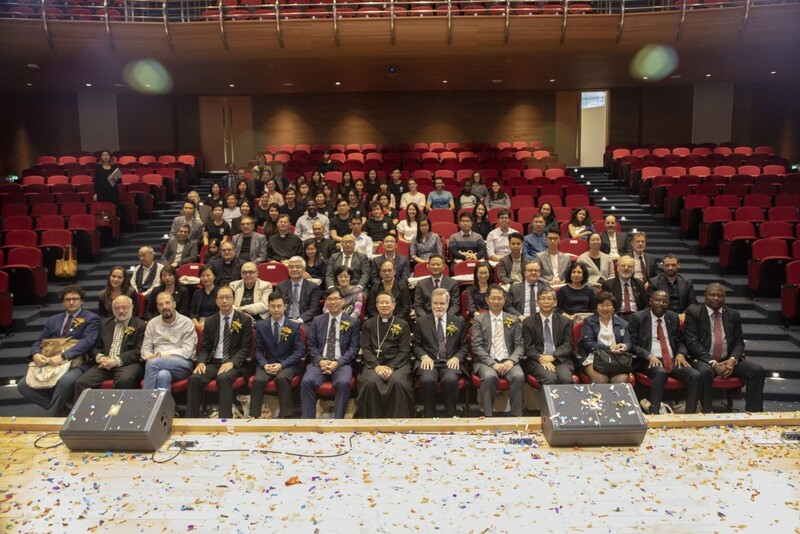 Distinguished guests included Mr. Hong Bo, Director of Department of Education and Youth Affairs of the Liaison Office; Mr. Sam Hio Tong, Division Head of the Resources and Student Welfare Division of the Higher Education Bureau; Mr. Sit Weng Tou, Division Head of the Socio-Educational Aids Division of the Education and Youth Affairs Bureau; Mr. Leong Ka Fai, Division Head of the Professional Development and Planning Division of the Social Welfare Bureau and Fr. Luís Sequeira, Member of General Council and Supervisory Board of the Catholic Foundation for Higher Education. During the Open Day, booths with information and activities, as well as students’ works were exhibited to showcase the diversity of our academic programmes and the campus’ overall environment. Participants also experienced what it would be like to study at USJ by using its different studios and production labs. This year, USJ extended its campus tour to the Residential Hall, which includes USJ’s Fitness Room and Recreational Corner. The University’s professors, staff and students, of over 40 nationalities, arranged different cultural experiences for visitors, including booth games, workshops and experiments. Teaching and learning facilities were open to the public for a glimpse of campus life, and around 235 visitors enjoyed an afternoon in the colourful and international environment of USJ. From April 12th until April 27th, Dixon Lai, a graduating student of the Faculty of Creative Industries, is holding his Graduation Achievement Exhibition at the Kent Wong Exhibition Gallery. Visitors are welcome to visit the exhibition during the opening hours of USJ Library.